The professor always knows best. Right? For anyone who tends to disagree, here are some books to bring to the lecture hall. They may help to better formulate your doubts about the sanctity and eternal truth of what you are being taught in Econ-101 and beyond. 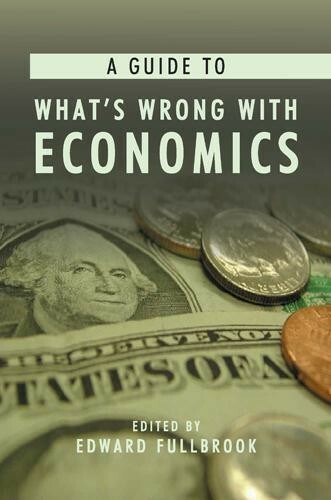 The Anti-Textbook and Debunking Economics are great to put side-to-side by your micro-economics course book. But why not start with the real story of Robinson Crusoe, the original Homo Economicus, used in every micro-economic textbook? Hill and Myatt explain exactly what's naggina at the back of your mind, as you stare at those perfect utility curves. Click for pdf. Chang explains why free markets don't exist, why education is not always helpful, and why good economic policy doesn't require good economists. Click for pdf. Steve Keen puts the axe to the roots of neoclassical thought. Very handy to question basic micro- and macro-economics courses. Click for pdf. Ha-Joon Chang gives an overview of the various schools of thought in economics, and shows why many of them still provide great insights. Click for pdf.